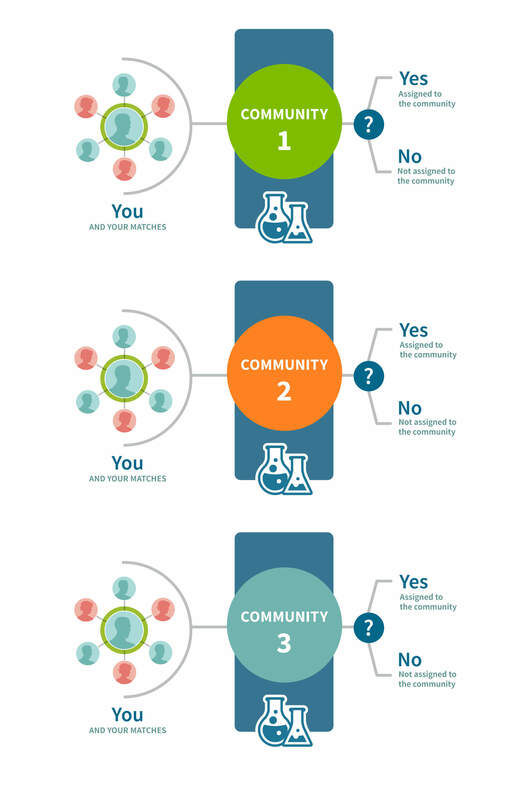 We've identified hundreds of Genetic Communities so far (learn how). For each one we discover, we use machine learning to build a set of rules to determine how likely it is that you're part of that community based on your DNA matches and the Genetic Communities they belong to. These rules also determine how confident we are that you belong to a particular Genetic Community. A lower confidence score means that you're less likely to belong, while a higher confidence score means you're well connected to that Genetic Community and possibly the region associated with it.